P2P ® Rescue is excited to announce that Surf Life Saving New Zealand is conducting water trials with the Crossover Rescue Board. These trials are the first step toward helping both organizations achieve their goals and accomplish their missions. P2P ® Rescue’s Crossover Rescue Board is the first rescue board with an on-board deck-flush paddle storage system. The uniquely designed outline allows rescuers to use it as both a standup paddleboard and a prone board. In addition, it has many other features that make it especially attractive to ocean rescue associations. The board is wide enough for a rescuer to stand up, which allows them to see victims at greater distances. The paddle can be stowed out of the way or used as an extension to reach victims. Handles forward and aft can be grabbed quickly, and at only 30 pounds it’s lightweight and easy to carry. 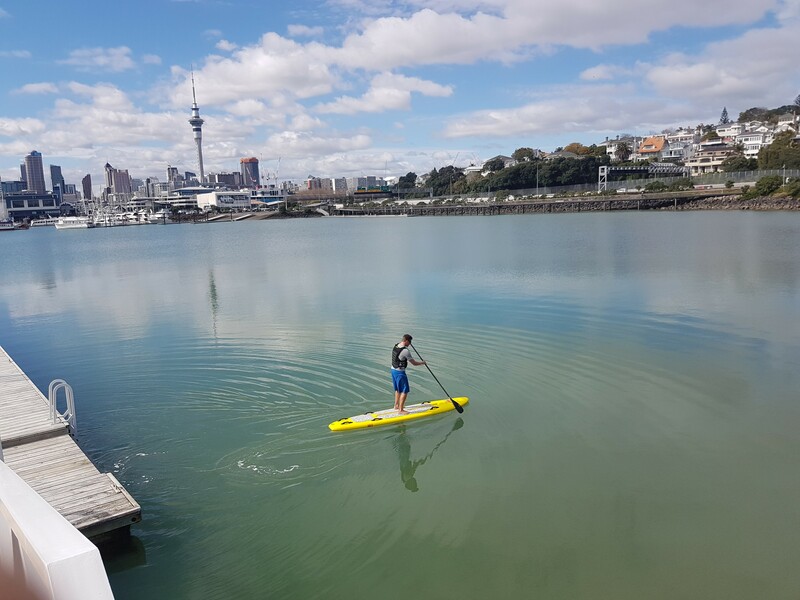 We are excited to see Surf Life Saving New Zealand testing this tool in its community and potentially put in service. Surf Life Saving New Zealand is part of Surf Life Saving, a community organization committed to reducing coastal drownings by 50% by 2020. Every day, their lifesavers rescue 35 people and every hour, they conduct 143 preventive actions. The mission of Surf Life Saving New Zealand is a perfect complement to P2P ® Rescue, and the both parties are hopeful that these water trials will advance their mutual goals: saving lives and making the ocean a safer place for all of us. P2P ® Rescue has designed an evolutionary breakthrough in rescue boards. Engineered for speed, stability, and function, each board is proudly designed and made in the USA. Currently, P2P ® Rescue has partnered with lifeguard and ocean rescue associations in North Carolina, South Carolina, Hawaii, Texas, Florida, California, Illinois, New York, New Jersey, and Massachusetts, and offers a range of designs optimized for the diverse coastlines of the world.